Some of the images that I have had published in magazines, books and websites. A 5 page article I wrote on shooting city lights. 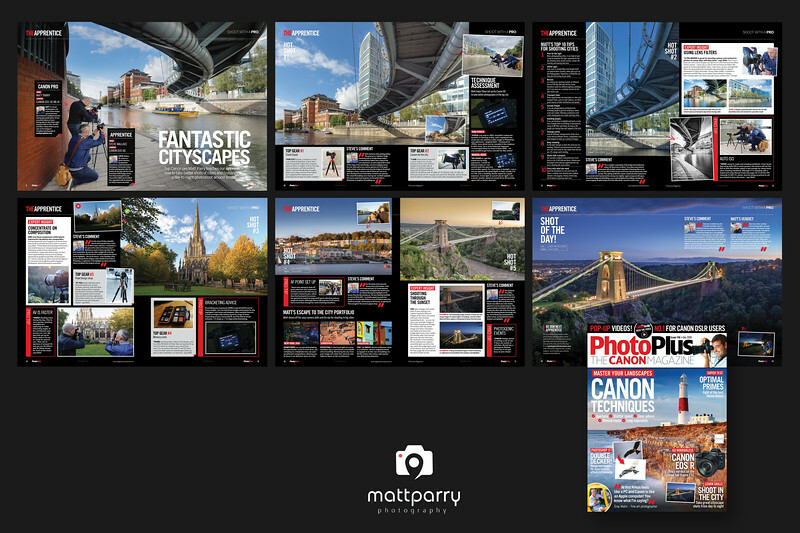 The tear sheets from a 12 page 'Shoot with a Pro' feature in which I was the Canon Pro training an Apprentice on how to shoot cityscapes in Bristol. 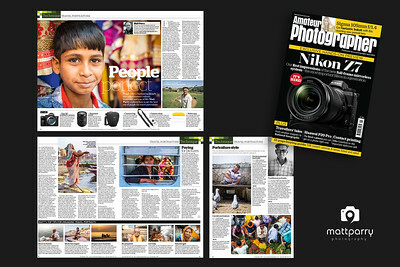 A 5 page article I wrote on people photography when travelling. I wrote a 5 page article on Black & White Film Essentials for AP all about processing b&w film. It includes a selection of my film images. This is a follow up to Part 1 in the Feb 10th 2018 edition. I wrote a 6 page article on Black & White Film Essentials for AP all about shooting 35mm b&w film. It includes a selection of my film images. My Iceland image is also the main front cover. 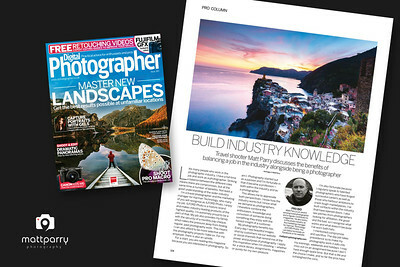 I wrote the Pro Column for Digital Photographer magazine about working in the photographic industry. The tear sheets from a 12 page 'Shoot with a Pro' feature in which I was the Canon Pro training an Apprentice on how to shoot city breaks. The images were shot over 2 x 1/2 days sessions in Liverpool in June 2017. 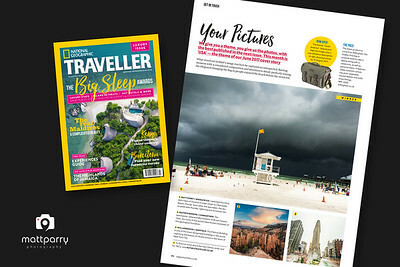 My image of Clearwater Beach, Florida won the 'USA' themed National Geographic Traveller UK competition and featured in their July / August 2017 edition. 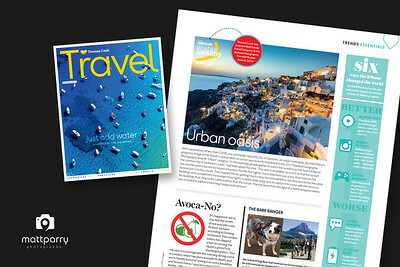 My image of Santorini won the 'Greece' themed National Geographic Traveller UK competition and featured in their May 2017 edition. 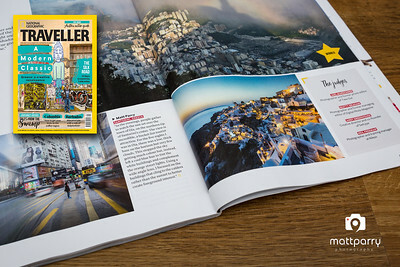 A friend was flying home from her holiday on Thomas Cook Airlines and spotted my image of Santorini in their in flight magazine. 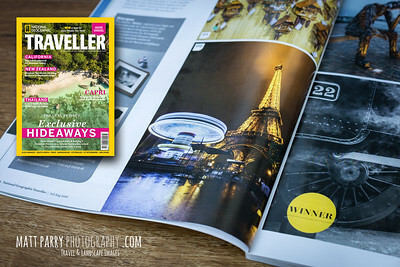 They had picked it up as it was a finalist in the Nat Geo Traveller UK annual photo competition. 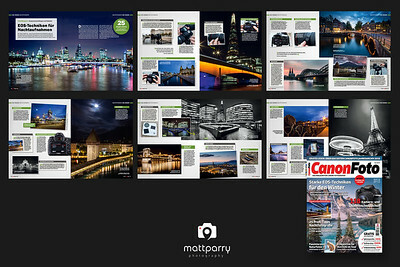 I wrote a 5 page article including images on Low Light Cityscapes for Amateur Photographer Magazine. 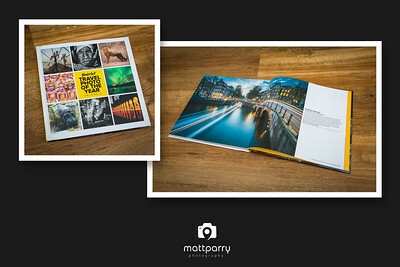 My Amsterdam image is also a thumbnail on the front cover. AP ran a film special (front cover by Tim Rudman) and I co-wrote a series of tips on getting started in film photography / darkroom printing under the header 'Mastering the Dark Arts'. They used a couple of my images on the spread and 3 more of my images on the previous spread written by David Healey on 'The Golden Age of Film'. My image of Amsterdam in Volume 7 of a hardback coffee table book showing all the finalists from their 2014 and 2015 annual travel photo of the year competition. (I was a finalist in the 2015 comp in the icon category). 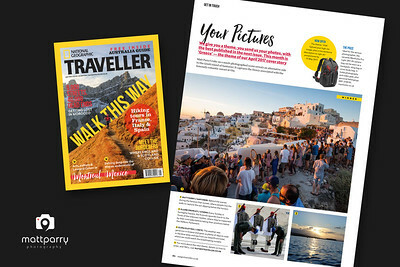 My picture of Oia in Santorini in National Geographic Traveller's coverage of the finalists in their annual Travel Photography Competition 2017. I was a finalist in the Urban category. 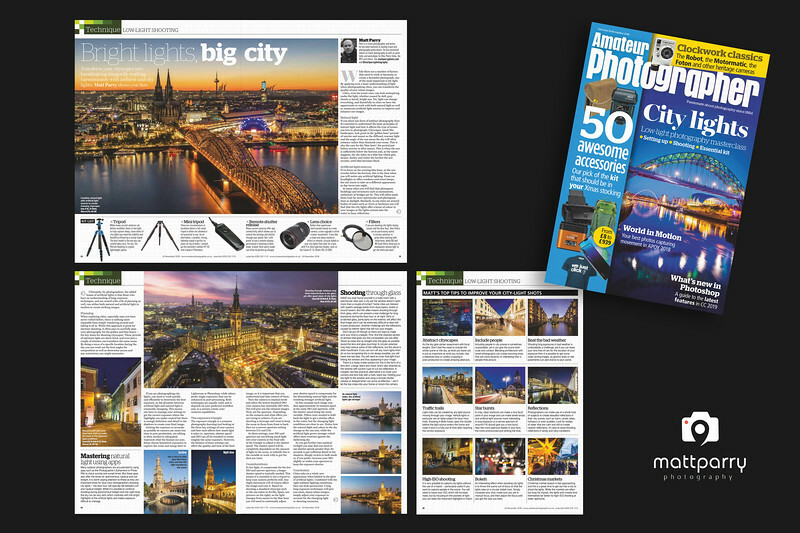 The tear sheets from a 12 page lead feature I wrote for PhotoPlus magazine translated and published in German magazine CanonFoto. 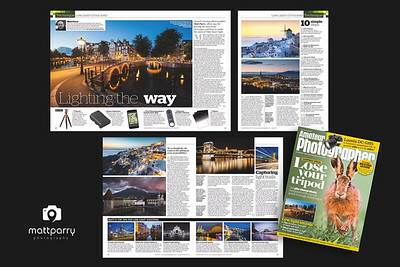 The article features images from a range of European cities and covers tips and technique for shooting low light cityscapes. 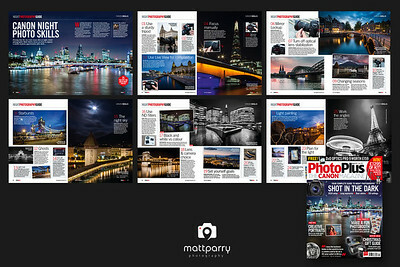 One of my London images appears on the front cover. 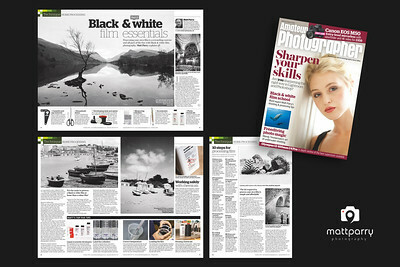 The tear sheets from a 12 page lead feature I wrote for PhotoPlus magazine. 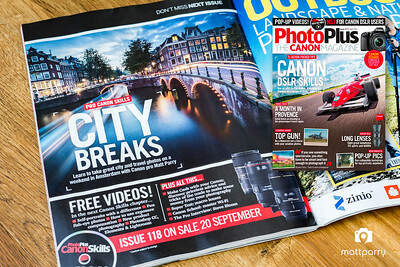 The article features images from a range of European cities and covers tips and technique for shooting low light cityscapes. The tear sheets from a 12 page 'Shoot with a Pro' feature in which I was the Canon Pro training an Apprentice on how to shoot travel photography while on a city break. The images were shot over 2 1/2 days in Amsterdam in August 2016. One of my Amsterdam images is on the front cover. 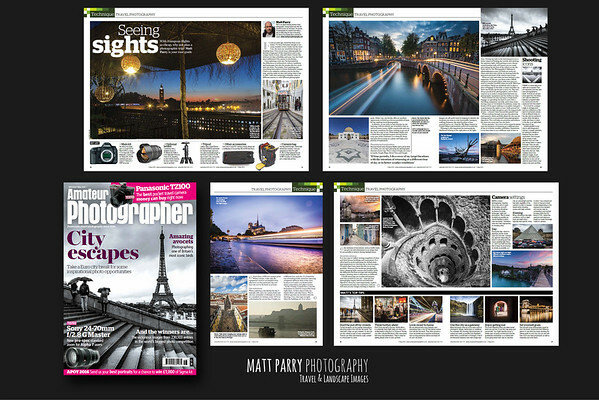 My image of Marrakesh in PhotoPlus issue 119 (November 2016). 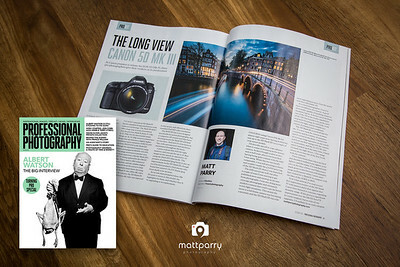 Professional Photography Magazine asked for my impressions of the Canon EOS 5D Mk3 following the announcement of the Mk4. 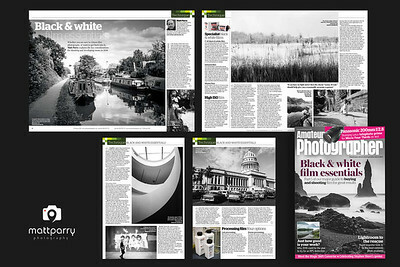 You can read what I had to say alongside my picture of Amsterdam in issue 13 of the magazine. 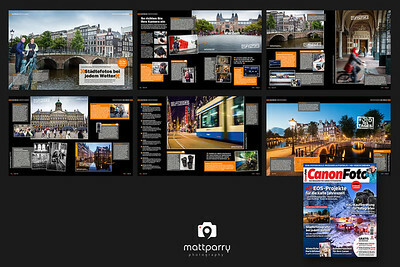 The tear sheets from a 12 page 'Shoot with a Pro' feature in which I was the Canon Pro training an Apprentice on how to shoot travel photography while on a city break. The images were shot over 2 1/2 days in Amsterdam in August 2016. 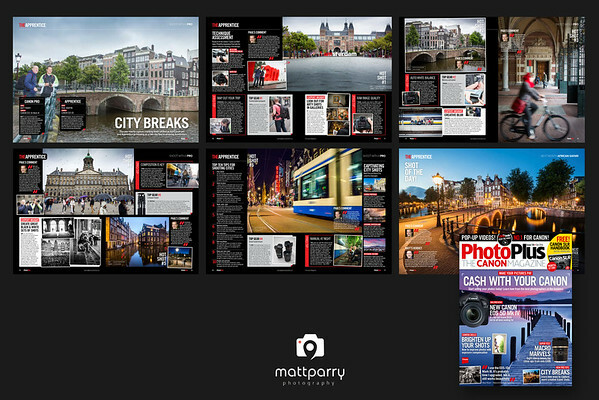 My image from Amsterdam highlighting next month's feature where I trained an Apprentice on city break photography. 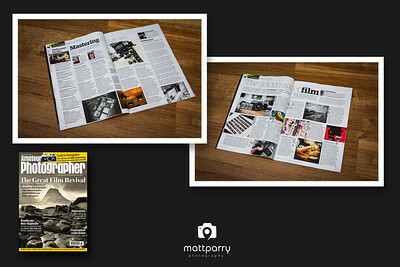 PhotoPlus magazine. My image of the Eiffel Tower in Paris, France in the July/Aug 2016 edition of National Geographic Traveller magazine. It was shortlisted in the 'Mechanical' themed photographic competition. 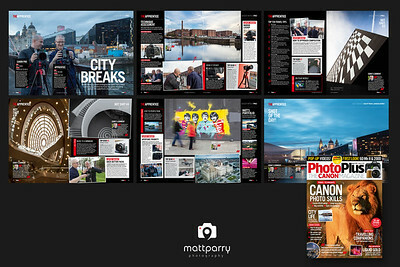 The tear sheets from a 7 page feature article I wrote on city break photography for AP magazine. The front cover is also a shot of mine from Paris.